In my dreams last night my car got blown up. I wasn’t there to see it. I came back to the parking lot and all that was left of my car were my seats. They had stolen the car and lit it on fire somewhere along the interstate. A big bellied country folk tried to give me his pig and a hundred dollar bill because he felt so bad about what happened. I really wanted to take the pig because I knew someone was going to kill and eat it and I wanted it as a pet. It liked being scratched behind the ears. But I didn’t have room in my apartment for it. I decided to look up what having a pig in a dream means. It was not good news. If you like pigs and think that pigs are cute, then your dream about a fat dirty pig represents your misconceptions about certain things. What you believe and what is reality may be two different things. 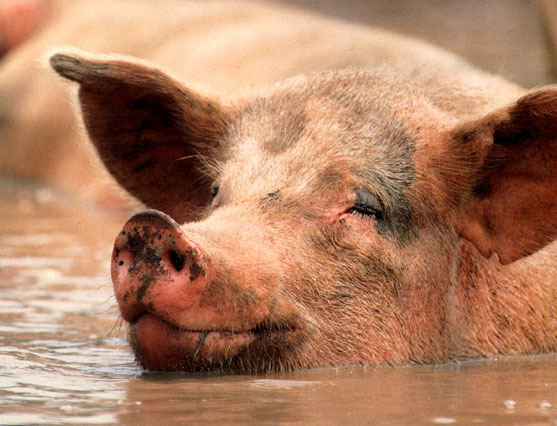 This pig may be analogous to a relationship or a man in your life. You think that the pig will be a certain way, but in actuality reality is not at all what you had imagined. To see a pig being cooked alive in your dream suggests that you are undergoing a drastic transformation. You are ready to rid yourself of the negativity surrounding your life. The info on the car situation wasn’t much better. My friend told me I need to find the pattern that makes me pick all these non-winners in my life, and once I figure out the pattern I can figure out how to stop it! So… this is going to take some work. Let me know if you know what my pattern is and then I won’t actually have to do any of the thinking. Maybe I’ll take a nap and see if any more truths will be revealed.